What it will take to sell post-Mubarak Egypt to foreign investors in view of serious problems facing Egypt’s economy these days? The questions on everybody’s mind these days are: How is the economy situation in Egypt? Is Egypt on the brink of bankruptcy or it awaits a bright future? Moreover, what it will take to sell post-Mubarak Egypt to foreign investors in view of problems facing Egypt’s economy these days? Some optimistic experts and analysts go as far as to include Egypt in the second wave of emerging countries to achieve high growth rates, maybe even adding an E to the BRIC! Yet, numbers do not lie. Finance numbers given by the government last month draw a negative picture of the economy, after real GDP rate reached 7 percent three years ago; it recorded 1.8 percent in 2011. The IMF has estimated Egypt’s gross domestic product growth will pick up only slightly in 2012, to 1.8 percent after 1.2 percent last year and 5.1 percent in 2010. Some economists think the recovery could be much faster, however. HSBC expects GDP to grow 2.7 percent in the current fiscal year to June, accelerating to 3.9 percent next year. Egypt also lost its half hard currency reserve after it reached US$36 billion in Dec 2010; it is now only US$15 billion, enough for three months! Account balance recorded deficit of US$9.8 billion. Private investments decreased to reach around US$ 5 billion during first quarter (2010/2011) compared to US$ 6 billion for the same period of 2009/2011 at rate of decrease of 20 percent. Foreign debts increased by 3.9 percent reaching US$34.9 million. Current account balance recorded -US$9.8 billion. Gross Government Debt (% of GDP): 74.21 %. Net FDI recorded for the first time a negative US$65 million during Jan- June 2011. Frequent protests resulted in fleeing of investors & tourists due to instability and violence. Tourism sector a 9% of GDP recorded the worst number at -5.9% when compared to 2009/2010. The already weak job market is worsening by low GDP rates due to the economic and political climate. Unemployment expected to reach 3 million against 2.7million last year. To summarize, numerous serious problems are facing Egyptian economy; high rates of unemployment and inflation, a growing national debt and shrinking tourism revenues and most importantly is the threat of fleeing foreign investment. The Egyptian economy heavily relies on foreign investment, with almost US$7 billion in annual inflows. On the other side, some important numbers are painting a positive picture to the Egyptian economy; according to a study made by Dr. Heba Nasar, professor of Economy, some sectors did well during 2010/2011, for example, exports kept its upward direction and rose for the first time to approximately US$22 billion in 2011, an increase of 18.5 percent compared to 2010 levels with an increase of US$3.3 billion. Imports recorded 8.1 percent rise when compared with -3.2 percent last year. Suez canal revenues recorded a growth of 11.7 percent of achieved an 11.5% of real GDP. IT sector recorded 6.7% of GDP. Consumer spending which represent 4.7% of GDP recorded considerable growth as private and public consumption rose 5 percent and 38 percent respectively. Other important numbers also appear as in general revenues which rose by 16.9 percent to mark US$ 27.7 billion, Salary tax rose by 14.4 percent to mark US$ 1.24 billion in the second half of 2011. This increase contributed to income tax revenues to increase generally by 9 percent, indicating increase in work force salaries in both public and private sectors, it also indicates a strong labor force as there has not been large scale layoffs. Some major Egyptian companies have been performing much better than analysts predicted. Ezz Steel, the country’s biggest steel maker, reported its third-quarter net profit jumped to US$21million because of strong demand for its products. Commercial International Bank, Egypt’s biggest privately owned bank by assets, saw its consolidated net profit fall 20 percent last year because of higher provisions against loan losses — not a disastrous drop during an economic slump. Dr. Waleed Helal, president of the Chemicals and fertilizers Exports council, gives other promising numbers and points out that 6 of the top 20 Egypt exports markets of are changing. For Egyptian exports; South Africa is ranked number 5 at about US$ 1billion, exports to Turkey rose to US$ 7 billion, doubling 2010 exports figures and exports to china is steadily growing . The outlook for real estate firms, a motor of the economy in the past decade, has brightened since a court ruling late last year ended a dispute over state land bought by Talaat Mustafa Group that had cast doubt over projects across the sector. A leading property developer, SODIC, says it plans to step up investment this year and the Ministry of Housing is trying to kick-start activity by selling 8,000 plots of land around Cairo to Egyptians living abroad. “We are already seeing some evidence of increased activity in Cairo’s real estate market” said Ayman Sami, head of consultants Jones Lang LaSalle’s Egypt office, he added: “Continued certainty is a basic requirement for the economy to fully rebound. Recent report published by Drake and Scull International, states that despite the current conditions and the consequence that is inflected on the real estate market there are some positive signs. CEO, Mr. Khadoun Altabri expects long term promising opportunities reaching out to all sector segments as population continue to increase at its normal rate of 2 percent yearly. He added that in view of low percentage of mortgages 0.4% of GDP, source of buying houses still are remains personal savings and selling of existing assets. He expects increased mortgage financing operations by banks during the coming periods on 8 percent average. It is also expected lending will stabilize by mortgage finance companies. It is also expected that the rate of real estate lending will stabilize at its normal rate of 7 percent. Larger growth in retail real estate and offices during coming years is also expected. With this optimistic view of the real estate sector the report notice that real estate financing is currently very low as it did not reach US$ 850 million in the last five years despite the fact that the total value of the market is estimated to be around US$6 billion a year. The reports confirm that the real estate sector will remain among the most active sectors in Egypt. Egypt need no less than 760,000 residential units produced but has reach only 200 000 units (excluding commercial, touristic and industrial needs). A Coldwell Banker report claims the market has recovered by 40 percent which is a good percentage; real estate prices will witness an increase in the next few months and will witness considerable improvement. According to Dave Robinson, an FDI expert and the CEO for the Middle East, Turkey and Africa with Hill & Knowlton, a global communications consulting firm “There are many compelling opportunities in Egypt, some of which are related to geography, logistics, a large work force (skilled and unskilled), fairly cheap or cost-effective labor compared to many other countries and some particular industries where Egypt has significant experience. The IT industry is one of them. Egypt has got an increasing level of skill in programming, technology, and infrastructure. It’s becoming a hub for that in a very competitive global market place”. “….Tourism will remain strong. The uprising made people concerned about travel to Egypt for personal safety and so on and so forth, but that is diminishing quickly, and hopefully as the economy restores itself to a position of stability and growth, there will be further investment in the tourism sector. Egypt has fantastic natural and historical assets, whether it is diving in Sharm el-Sheikh or spending the time on the coast in Alexandria or the history of the ruins and museums of Cairo. I am sure that will come back quickly”. To conclude; Events in Egypt since January 2011, and the transition to democracy, have had a negative impact on the economy. Economists forecast that overall growth for FY 2011 will be around 3% rather than the 5.7% which had been expected. According to Dave Robinson, “The important thing in any crisis situation is not to overreact or under react. The situation is clearly significant and I think truth is always the best solution in any economic crisis situation. The reality is that Egypt is a large economy; it has a very large work force. Also, there are very good, compelling investment opportunities in Egypt. There are also clearly some infrastructure problems and some policy problems in terms of capturing those opportunities and working on them”. 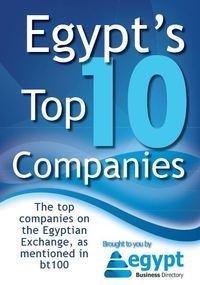 He added: “You need to significantly improve understanding of the realities of the economy in Egypt in the world. What many people internationally have been left with is, I think, the images on TV screens of Tahreer Square of demonstrations, the closed stock exchange, the country under military rule and so on and so forth because of the comparative lack of communication of the reality. I am here in Cairo, we are doing business, we are meeting clients, we are talking to media, and we are doing active business for clients. There is an economy functioning, people buying and selling goods and this reality needs to be communicated. Is it as good as it was six months ago or a year ago? Probably not! There are some things that have been affected by the revolution – the regime change and those things are going to take a little bit of time to stabilize – but the efforts to stabilize those things, identify where those problems are and communicating that will give people the confidence that things are being done”. To summarize; economical growth and high GDP rates are tied to security, stability, trust of government economical and political policies, changing bankruptcy and exit policies and the end the political vacuum after the election of a president next June. The transition government has placed a real emphasis on the need to accelerate economic reform alongside democratic developments and improve further the climate in Egypt for international investment. Analysts are predicting a period of economic uncertainty for the next 6-9 months with a return to higher growth depending on stability and a return to civilian government. For international companies going to invest in Egypt, now is a time for assessing, performing due diligence, and looking closely at market developments in relation to a particular sector. Mohamed Buhaisi is the Founder & Managing Director of Buhaisi Consulting International, LLC (www.bpc-egypt.com). Buhaisi Consulting International, based in Egypt and with presence in the MENA-region is a Strategic Alliance Partner of Universal Consensus.